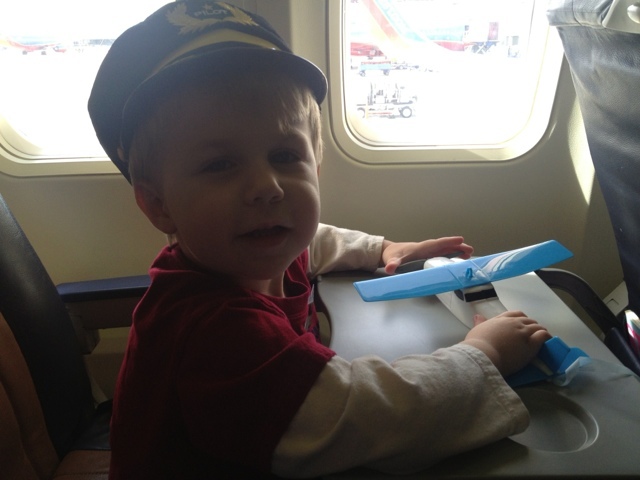 Jacob has been obsessed with airplanes since he was born...I am excited for his passion and sense of adventure. 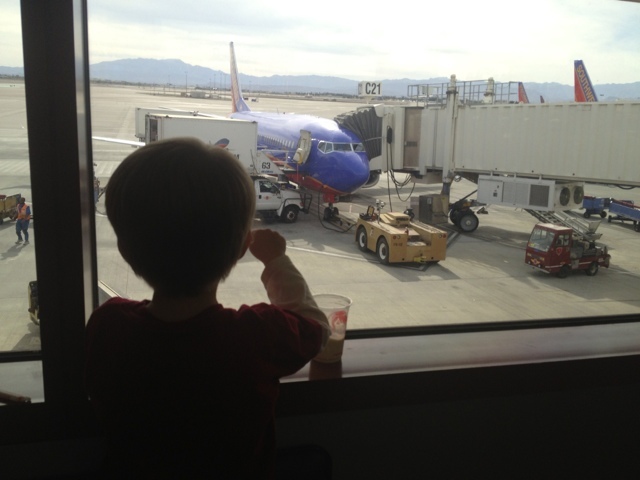 We spend many field trips at various airports watching planes, his first word "tintin" was spoken when pointing to airplanes while traveling to Canada 2 years ago and we own every single matchbox airplane ever made. Well, throw in kid number 3 and I was DONE. I pleaded, I bribed, I negotiated. I continued to change poopy pull-ups. Finally, we decided to "go big or go home". 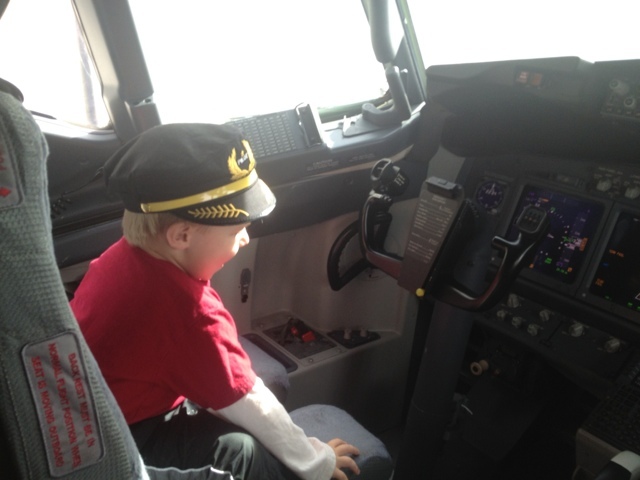 We promised Jacob an airline flight if he would commit to pooping 10 times on the potty. For the past 6 months, yes SIX months, this kid has told every. single. person he has spoken to that "I poop 10 times and I go onna airtane ride". 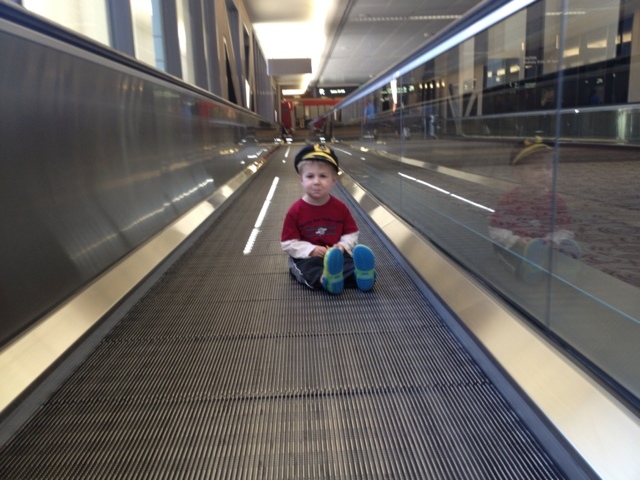 Well, 3 weeks ago, the little man fulfilled those 10 times and I booked a flight. Southwest Airlines: Phoenix to Vegas and back for he and Jim. The little man was ecstatic. 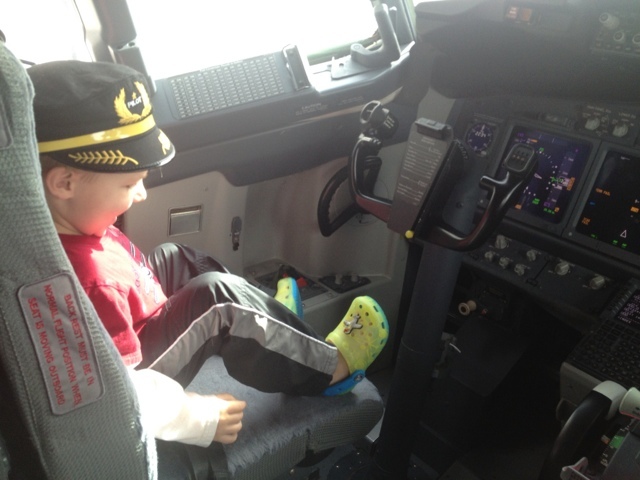 He told everyone he was going to let the pilot know that he had popped 10 times and he was going to give him a high 5 and a hug. 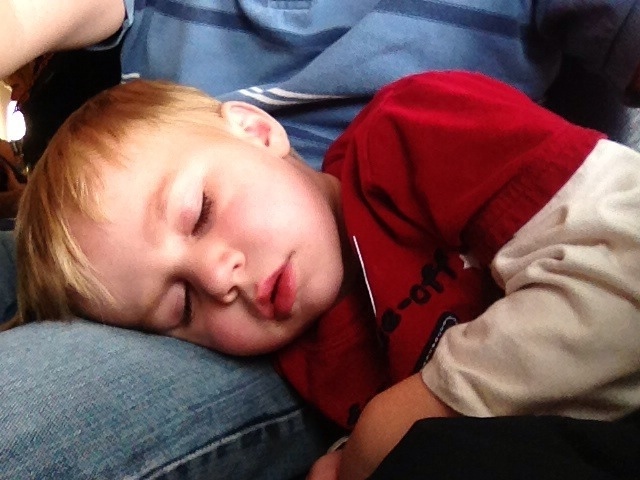 He "flew" everywhere with his arms stretched open wide. 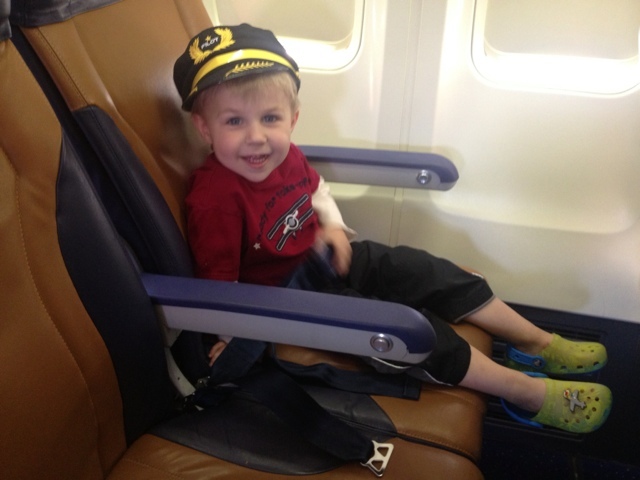 I had prepped Southwest by calling them and asking them to make a BIG deal over him and they didn't disappoint. 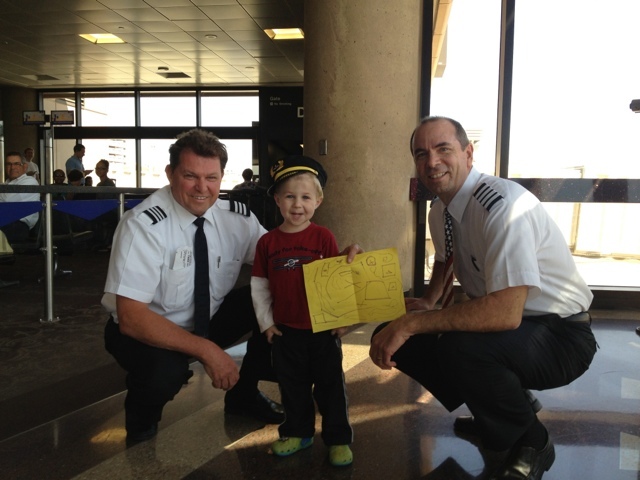 He wore his little pilot hat, got to meet several pilots, gave them his pictures, got special treats from them and was soooo proud to be flying that plane. He earned his wings after the flight when he was allowed to take the controls in the cockpit...after all the passengers were let off and the plane shut down ;-). It was the highlight of his trip. It was truly an amazing day. Both for Jake and his daddy.